Front Row Motorsports revealed its crew chief lineup Wednesday for the 2019 Monster Energy NASCAR Cup Series, with two new faces added to its newly expanded three-team fleet. Drew Blickensderfer will work with the No. 34 Ford team and driver Michael McDowell this season. Fellow veteran Mike Kelley joins the FRM fold atop the pit box for the No. 36 Ford and Sunoco Rookie of the Year candidate Matt Tifft. Seth Barbour returns to the No. 38 operation for a second season as crew chief for David Ragan. The team also announced that Derrick Finley has assumed the new role of technical director. Finley was McDowell’s crew chief last season with the No. 34 team and served in the same role for Ragan’s No. 38 in 2017. The team also indicated that Donnie Wingo will return to the Bob Jenkins-owned organization as competition director. Blickensderfer previously worked with Richard Petty Motorsports, where he first teamed with Marcos Ambrose near the end of the 2012 season. He was paired with Bubba Wallace for his rookie season in RPM’s No. 43 last year. Blickensderfer has served as the crew chief for three wins in NASCAR’s top division: two with Matt Kenseth in 2009 and one with David Ragan during their time with Roush Fenway Racing in 2011. Kelley heads back to the Monster Energy Series after a long tenure with Roush Fenway. He has 12 NASCAR Xfinity Series wins as a crew chief and led Ricky Stenhouse Jr. to back-to-back titles on that circuit in 2011-12. He spent last season with Roush Fenway’s No. 60 Xfinity team. Barbour returns to Front Row Motorsports with Ragan. 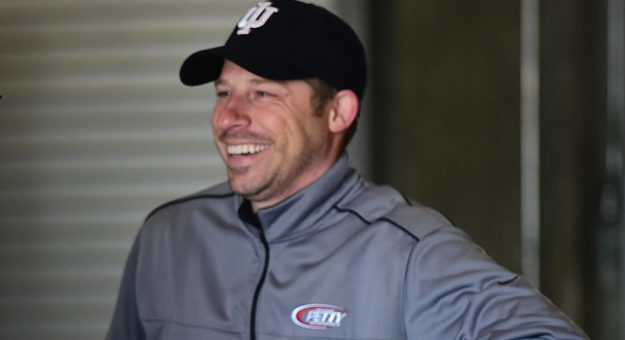 Like Blickensderfer and Kelley, he also has ties to Roush Fenway Racing, serving as a crew chief in the Xfinity Series from 2013-17 and a team engineer before that term. Ragan ranked 25th in the Monster Energy Series final standings in 2018, Barbour’s first full year as a crew chief in NASCAR’s top division.